Jessica Arp, the assistant news director and chief political reporter for WISC-TV and Channel3000.com, was honored Tuesday night as the 2019 recipient of the Distinguished Wisconsin Watchdog Award. 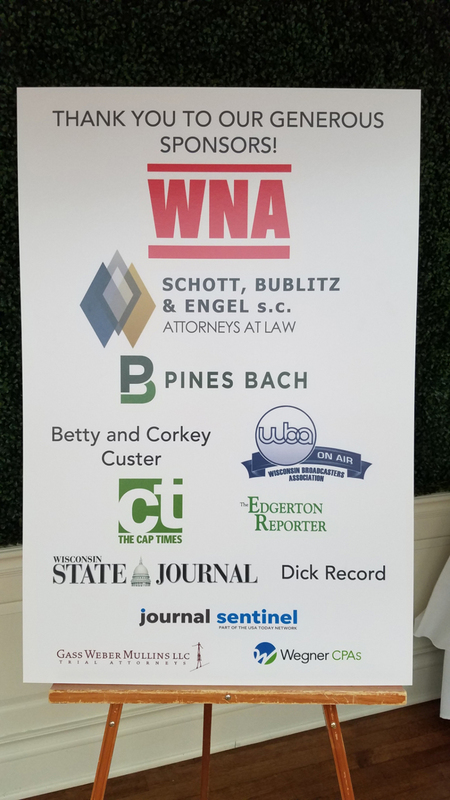 The award recognizes an individual’s extraordinary contributions to open government or investigative journalism in Wisconsin and was a highlight of the ninth annual Wisconsin Watchdog Awards reception and dinner on April 16. Arp has reported on Wisconsin politics for WISC-TV in Madison since 2007 and has received Edward R. Murrow, Wisconsin Broadcasters Association, and Emmy awards for her coverage of Wisconsin elections. 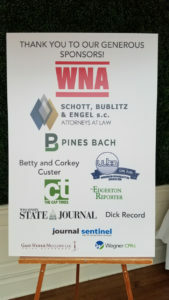 In addition to her reporting duties, Arp has been involved in leading efforts in investigative techniques, innovation, and social media among the staff to help build the WISC-TV digital brand. 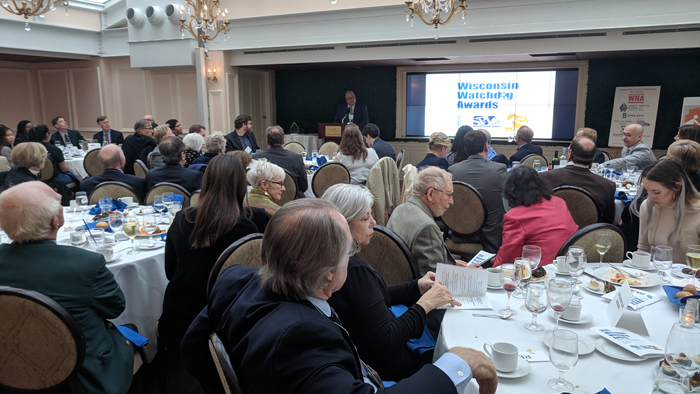 The Watchdog Awards also featured the 2019 Openness Awards, or Opees, bestowed annually by the Wisconsin Freedom of Information Council. Recipients included State Senator Chris Larson, Citizens for a Clean Wausau, Simpson Street Free Press, the Milwaukee Journal Sentinel, and Racine Alderwoman Sandra Weidner. The Watchdog Awards are presented jointly by the Wisconsin Center for Investigative Journalism, the Wisconsin Freedom of Information Council, the Madison Pro Chapter of the Society of Professional Journalists, the Wisconsin Newspaper Association, Wisconsin Broadcasters Association and University of Madison-Wisconsin School of Journalism and Mass Communication. The event was held at the Madison Club, and it sold out again this year.